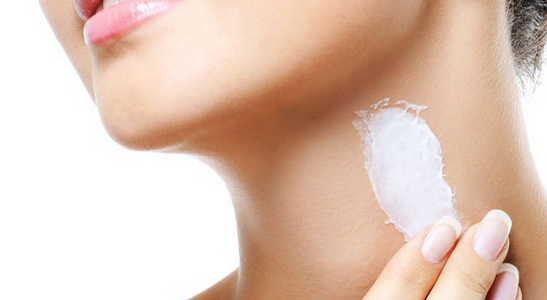 Are you wondering how to get rid of dark neck naturally? Who doesn’t? Anyone who’s plagued with this problem knows what an eyesore a dark neck is. To help you solve the problem, I’m giving you 3 home remedies for dark neck that are safe and natural. 1. Consume foods and drinks that won’t raise your blood sugar above normal levels. Acanthosis nigricans (pronounced as ak-an-THOE-sis NIE-grih-kuns) is a common cause of darkened and thickened patches in the neck, underarms, groin, and below the breasts. It’s usually caused by conditions characterized by high glucose levels, like diabetes, which can be managed through proper diet and moderate eating. Familiarize yourself with low to medium glycemic foods, too. Based on a large meta-analysis of 24 prospective cohort studies, eating diets with lower glycemic load could help decrease your risk for type II diabetes. Foods with glycemic index of 55 or below are considered low, and 70 or above are considered high. 2. Lose the excess weight starting today. Being overweight or obese could give rise to a number of skin issues due to several reasons. One of these reasons is hormonal changes, which could lead to the development of acanthosis nigricans, an abnormal darkening and thickening of certain areas of the skin. What’s the best exercise for weight loss? Honestly, there’s no one-size-fits-all types of exercise. It depends on your current health condition, mobility, preference, and weight loss goals. However, if I can suggest you one, it would be high-intensity interval training (HIIT). Is exercising enough to shed the extra weight? Most skin lightening treatments available today work by decreasing or stopping the production of melanin by inhibiting the activity of tyrosinase, which is an enzyme that’s responsible for the synthesis of melanin. Other ingredients work by exfoliating the skin to reveal a younger, smoother, and clearer looking skin. I must admit that there are skin lightening products that work as promised. BUT they’re not totally free of adverse effects, such as inflammation, increased sun sensitivity, and thinning of skin. Compared to chemical-based skin whiteners, herbal and plant-based formulations are non-toxic, more effective, and cause minimal to zero side effects. Papaya has been one of the favorite ingredients in skin whitening products because it contains vitamin A and papain. Papain is an enzyme that exfoliates, softens, and whitens the skin. Plus, papaya’s a natural and inexpensive sunscreen. To use it on your dark neck, simply mash the pulp of one slice of ripe papaya. Add just enough milk. After, apply the mixture onto your neck, and then let it stay for five minutes. Wash everything off with cool water. Lemon juice is another popular ingredient in many commercial and DIY skin care products. It’s usually effective. However, make sure not to use too much of it because it can be drying and irritating to the skin if used in full strength. To use it on your dark neck, mix ½ teaspoon of lemon juice and 2 tablespoons of raw honey. Mix well. Apply an ample amount on your neck. Leave it for 10 to 15 minutes before rinsing the area. To use on your dark neck, dilute licorice extract using clean distilled water. If you want, you can also add other natural skin lightening ingredients, like chamomile, green tea, and grape seeds. Then dip a small soft cloth on the resulting mixture. Compress on your neck for 10 minutes. Do this once or twice a day. Oranges contain vitamin C which is great for skin nourishment and they also help to lighten the skin. Peel one orange and squeeze its juice out into a cup. Take a cotton ball and apply it onto your neck. Leave it there for 10 minutes before rinsing your neck with water. Turmeric has known to have lightening and glowing properties.Add turmeric in the rose water to make a paste for your neck. Apply the mixture on the dark spots of your neck. Leave the solution on for 5 minutes and then rinse it off. Aloe vera is rich in antioxidants which help to repair and produce new skin cells. You can apply aloe vera gel daily on your neck to improve its complexity and get a fairer skin. Potatoes contain natural enzymes which will help to lighten the dark spots on your neck. Slice several pieces of potatoes and rub them on your neck. Do this about 5 minutes and then wash the neck with warm water. Moisturize afterwards. This remedy can be repeated daily until the dark neck is gone. Vinegar will also work well in reducing dark neck. Mix vinegar with the same amount of water and apply the solution onto your neck. Wait for several minutes and then wash it off. Baking soda is another effective remedy for dark neck. Mix baking soda in the rose water and make a paste. Apply the paste onto your neck. Massage the neck with this solution for 5 minutes and then rinse it off. You may see the results within a week. Blend oats, milk and honey in a blender until it reaches a smooth paste. Leave the paste on your neck until it dries out and then rinse it off. This remedy will remove dead skin from your neck which equalizes the color of the skin. It also helps to remove the tan from the skin. Applying sunscreen will help to reduce the tanning and dark neck. Make sure to reapply the sunscreen in every hour when being outside. People often moisturize and apply the sunblock on the face but forget to take care of the neck as well. Remember that the neck is also exposed to the sun and is affected by the UV light. Vitamin C has always been known for its positive effects on the skin. But studies show that it would work better if combined with procyanidin and vitamins A and E.
Have you tried any of these before? How did it work for you? If you have other tips and tricks for dark neck, feel free to share them.